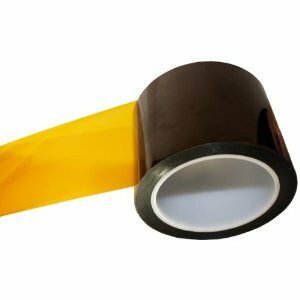 Kapton tape, also known as polyimide tape, is made by DuPont. It is used in high temperature applications for its heat resistant properties. In 3D printing, Kapton tape is sometimes used to cover the heated build plate when printing in ABS plastic. It may also be used to cover the hot end or in other applications when heat resistance is necessary.